Santa's annual office party turned tragic this year when a domestic dispute turned violent. 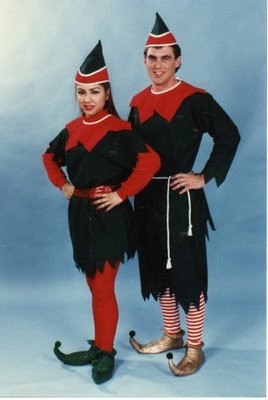 An altercation involving elf couple Margaret and Jerry Whitmore occurred when Jerry learned that Margaret had been "stuffing stockings" with family friend and co-worker, Hermey Martin. The fight quickly escalated into a brawl, with at least 30 elves and an unidentified reindeer being transported to local hospitals for treatment. A local unit of toy soldiers was called in to maintain order. Whitmore and Martin were both arrested and are being held on a 50,000 candy cane bail. They were both found to have blood hot chocolate levels twice the legal limit. A spokesperson from Santa's office could not be reached for comment. Or at least that's the only thing I could think of that would warrant so much crime scene tape around the City of Grovetown Light Display. Wow, I didn't even notice the crime scene tape until you mentioned it. It's my day of no attention to detail. My office sent around an e-mail saying we had next Wednesday to Friday off and the following Thursday and Friday. I totally missed the Wednesday day off until a co-worker told me. It wasn't on our original holiday schedule. Good thing I have my lists to keep me in order. If you find out why the crime tape, let me know! yes indeed a Christmas Tragedy!!!! LOL that is funny! I mean not domestic violence, but your take on it with the elves and all. THANK YOU for finally answering this burning question for me! Apparently these elves are repeat offenders because it looks that way every year. Nothing says "Merry Christmas" like crime scene tape, eh? 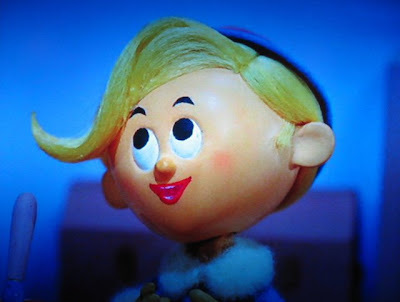 So does this take care of those pesky rumors that Hermey is gay? Skinny people don't get it. Plane crashes and leg cramps. Nevermind! I want to be fat!